You have chosen your venue, set a date and are now planning every detail of your perfect wedding day. Finding The Right DJ For You may seem a difficult task. To help, ask yourself if you are looking for any of the following? Your wedding to be so amazing that you and your guests will never forget it? A DJ who’ll listen to you and help make your wedding extra special and personal. A professional DJ & Host who will keep your day running smoothly and take the stress away from you? An experienced Wedding DJ who will play the right song at the right time to keep the dance floor jumping. The power to choose your own music online, and also let your guests make requests in advance? A DJ set up that creates the WOW factor to compliment your beautiful venue? If you answered YES to any of the above then Neil Johnson could be The Right DJ For You! Neil Johnson is the founder of Sphere Entertainments and The Wedding DJ chosen by discerning couples throughout Surrey, Hampshire, Berkshire & West Sussex. With over 20+ years experience and many testimonials, Neil has a proven track record of providing memorable wedding entertainment that has been loved by his clients and their guests. Below are just a few recent comments from happy couples whom Neil has helped create their perfect wedding day. If, after your wedding day, you would like to writing something similar then contact Neil today. Neil was our DJ, ALL DAY at our wedding. He was so friendly & accommodating from the moment I enquired. The music was fantastic & tailored to our taste. Thank you so much, we would recommend you to everyone! The best wedding DJ by far! This man did an absolute fantastic job! I highly recommend him! He set the most perfect environment for our wedding breakfast & evening! Will forever be grateful for the amazing work he done! Neil was amazing! We went with the all day package & are so glad we did! He kept the whole day going smoothly which made me relax! Everyone said how brilliant he was and what a great party. Would highly highly recommend him! Neil really took the time to get to know us. This gave us all a relaxed environment to chat through our likes & dilikes whilst having a bit of a laugh at the same time. Outstanding job Neil, we can’t thank you enough! ROCK ON DUDE. Thank you Neil for making or wedding reception, simply the best! We felt so confident using you to get our dance floor filled, & you didn’t disappoint! So many of our guests commented on the ‘top tunes. Neil really does go that extra Mile. Outstanding service from Neil throughout the entire process from booking to the wedding itself. All our guests couldn’t speak highly enough of how amazing the music was. Couldn’t recommend Neil enough. Planning the music for your wedding is an important job. Most people will remember your wedding from the great time they had at the evening reception. So, naturally, you will want to get it right. There are no doubt things you’ve not yet considered and that’s where Neil can help. 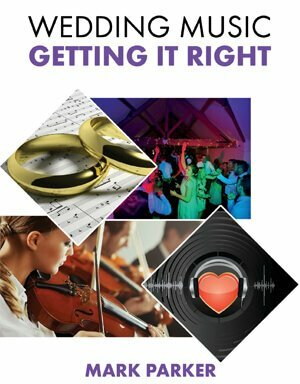 To get you started with some ideas that could be right for you Neil is pleased to offer you a free copy of ‘Wedding Music – Getting It Right’ worth £4.99. In this short book you will find some great advice and ideas that can help make your wedding day music absolutely fantastic. Just fill in your details below and Neil will send your free PDF copy to you. Your PDF guide will be sent to this email address so please ensure its correct. The information you provide will not be shared with anyone outside of Sphere Entertainments. So which package is right for you? Neil’s ‘Classic Wedding’ package is the perfect all-day music experience for you and your guests, hitting the right note all the way through from the ceremony to the evening reception. Personalise your day with Neil’s ‘Dine, Dance & Celebrate’ package. Starting with hosting your Wedding Breakfast then entertaining you into the evening with a fantastic party atmosphere. Dance the night away to music you and your guests will love, when you choose Neil’s ‘Floor-filling Perfection‘ package for a fun filled & memorable celebration of your marriage.